An “investigative journalist” on Iran’s state-run PressTV Monday claimed to have discovered why the Obama Administration is both offering sanctions relief to the Ayatollah’s Islamic Republic while also imposing a new round of sanctions on Tehran: “Jewish neocons,” according to Tehran’s English-language media outfit. On Sunday, the U.S. settled a dispute with Iran, writing a $1.7 billion dollar check to the Islamic Republic of Iran, Secretary of State John Kerry announced. 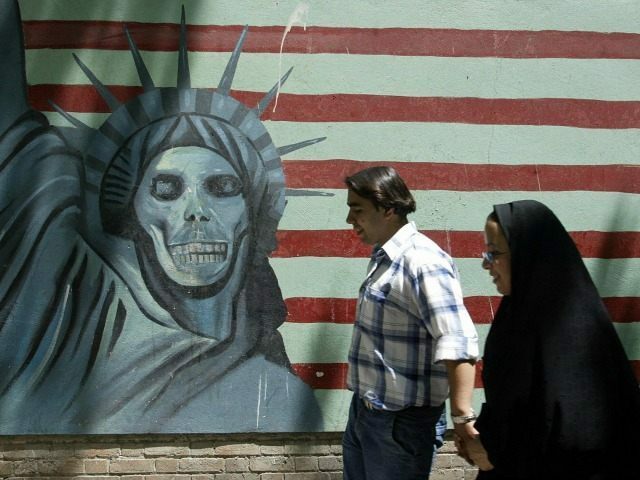 That same day, however, the Treasury Department announced the impositions of new sanctions against Iranian individuals and groups, citing Tehran’s illegal ballistic missile tests. Wayne Madsen, an anti-Semitic commentator, added to the state-controlled network’s analysis that he had identified the rogue American official in the administration is responsible for usurping President Obama’s authority and pushing newly implemented Treasury Department sanctions, which went into effect on Sunday against Iran’s ballistic missile program. The U.S. Treasury Department enacted a new round of sanctions Sunday against Iranian individuals and companies that support Iran’s ballistic missile program. The Treasury Department sanctions were enacted the same day the U.S. decided to pay Iran a $400 million dollar debt plus $1.3 billion dollars in interest. President Obama and Secretary of State John Kerry have backed the debt payment, claiming it was “much less” than what Iran had sought out.